Cannon County 911 Director Roy Sullivan went above and beyond the call of duty — literally — Thursday morning. 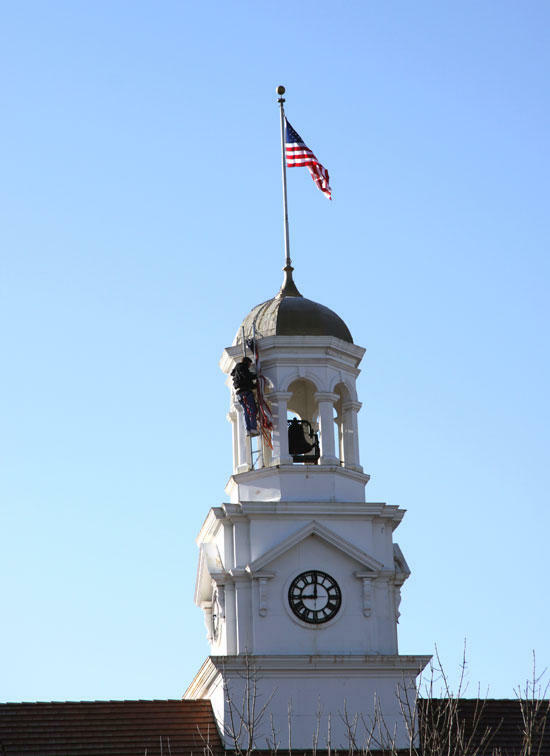 Sullivan went to the roof of the Cannon County Courthouse and then climbed the clock tower to run a new flag up the pole. Thanks to Sullivan's effort, on a clear day in Cannon County, the Red, White and Blue proudly flew. Very thankful for Roy for doing this task. I as a veteran, am very proud of our Court House and the patriotism show by most in this county. The flag that was removed was an eyesore, ragged and worn, not the example of what Cannon Countians are really like. Thanks Roy, and Cannon Courier for a job well done.